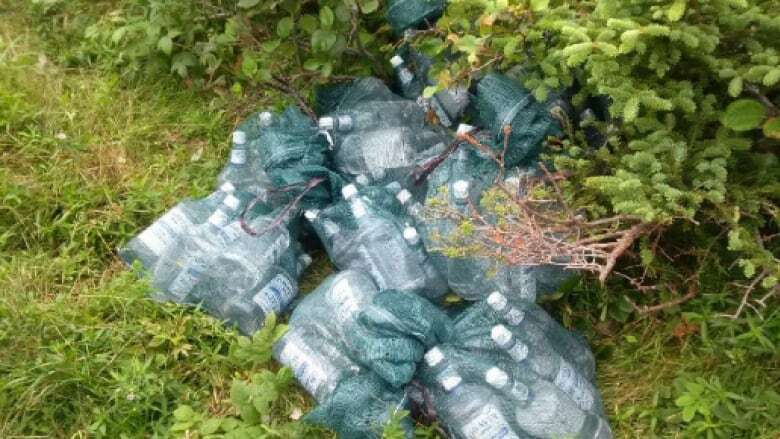 In total, police nabbed 725, 60-ounce bottles brought in from St. Pierre-Miquelon. Bags full of contraband alcohol from St. Pierre-Miquelon were seized in two smuggling investigations on Newfoundland's Burin Peninsula. In total, police say they found 725, 60-ounce bottles of alcohol smuggled from St. Pierre-Miquelon. "The liquor is being smuggled by locals who are known to police," RCMP Staff Sgt. Dale Foote said in a release. 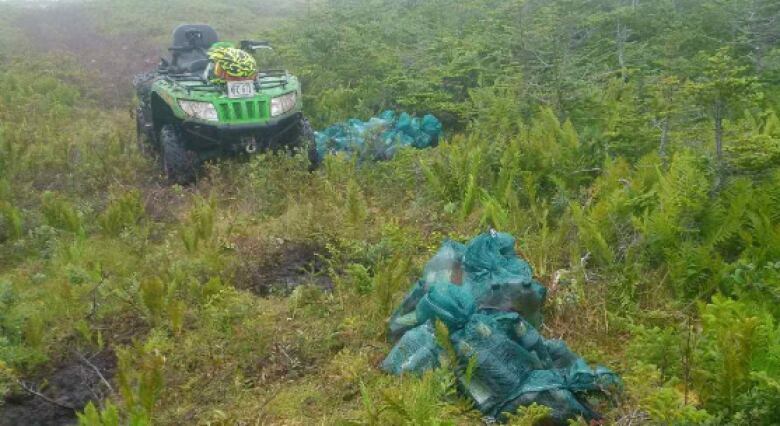 "Although arrests have not yet been made, the RCMP are cognizant of the areas and groups who are actively involved in smuggling and we are continuing to investigate." The seizures were part of two separate operations this month. Police did not say how many people are suspected to be involved in the smuggling between the French islands and Burin Peninsula. RCMP are asking anyone with information about the smuggling to contact them, or anonymously through Crime Stoppers.